I am pretty sure you have all seen this Tibi Maxi Skirt all over Pinterest and the blogasphere lately. I love it, really do but $495 for a skirt is ridiculously expensive. There is no way I am going to pay that. I came across this skirt from Anthropolgie. The pattern is different, and yeah I probably like the Tibi pattern better, but this skirt is a 1/3 the price of the Tibi skirt and the style is pretty much exactly the same. I actually really like the color blocking on the Anthro skirt. 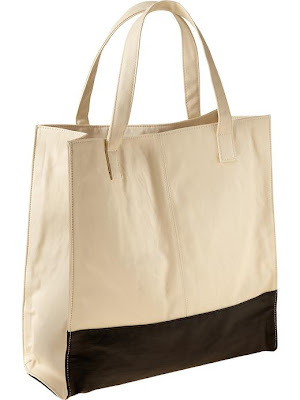 Another item I have been stalking is the Celine Colorblock Tote. Sadly, at $2000+ that purse will never be mine! I found this super cute similar version at Old Navy. I know I am shocked too, but Old Navy has been killing it this year with their line! 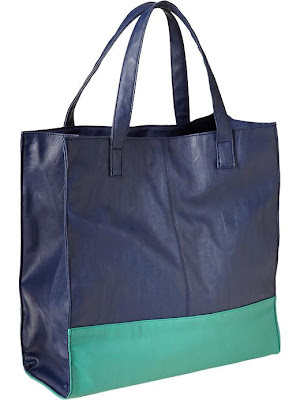 First the sailboat blouse and now these totes. This purse is truly a fraction of the cost of the Celine Tote. It was orginally $29 but it is one sale right now for $17.80. Heck I would almost buy two for that price. They are faux leather so I think they would be adorable beach totes because they would be easy to clean! I bought the Tibi Arizona skirt but wound up returning it even with the slight discount that I was given at Tibi online. The price was too much. LOVE the colorblock version from Anthro though! May have to look into that. 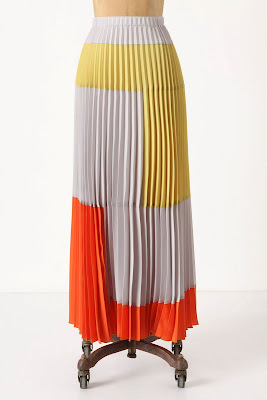 The Tibi skirt is very pretty. But I am with you. There is no way I would pay full price for it. Maybe it will go on sale in a month or so? I really like that first Old navy bag! So cute!! $500 for that skirt is just crazy! Love both of your alternatives. Old Navy also had a great maxi dress that had pleating all the way down it. It's not online but i saw it in the Mt P Store this weekend. I wanna say $40 or so… I am LOVING what they are producing this year. I like the Anthro version better too but I could never get away with wearing a long pleated skirt. I may need to run in to Old Navy – those bags are great – add a beach towel and it would make a great Mother's Day gift for a friend! I love this Tibi pattern, too, but no way am I paying the price for it. I do like the Anthro one. I've got to make a trip to Old Navy, I've seen lots of cute things from there lately. I saw some totes at Asos a while back that were similar to these. Love the alternatives you found! Great look for less! 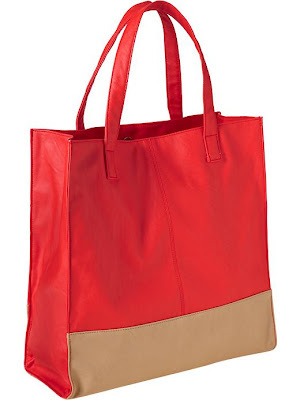 I like the Celine bag but I think I would be over it quickly so I would get the Old Navy bag. Ooo great looks for less! Still loving that Tibi skirt! great steal finds!!!! I agree that $500 is way too much for a skirt, even though it is pretty damn gorgeous! I agree, I do the the Tibi but not for $500. You are so right about old navy too!! great finds! I am really liking the Anthro skirt! I'm hoping that it will go on sale, but I doubt it…it's just too popular!